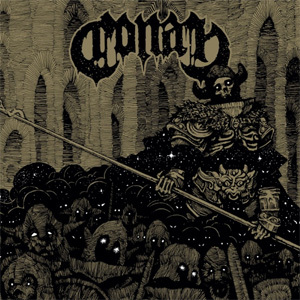 Two years after the remarkable Revengeance, CONAN once more leave us astounded with a previously unknown side to dual vocal sludge. The British trio presents a tar monster named Existential Void Guardian that seems even more menacing as soon as it gets high on its own downtuned groove frenzy. The album will be released on September 14 via Napalm Records. Preorder Existential Void Guardian HERE. "Eye To Eye To Eye"